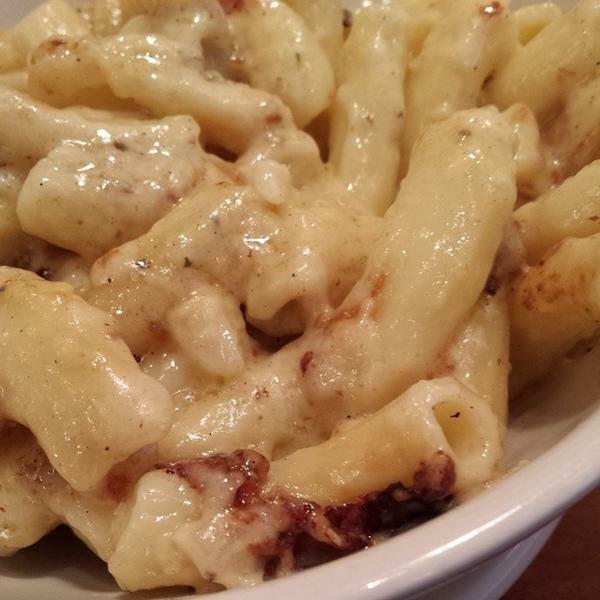 Housemade bechamel sauce & lots of Cabot cheddar caramelized with pasta. "...did you know that food network magazine voted the macaroni and cheese at zingermans roadhouse as one of the top 10 comfort foods in the country..."
- Meg.Goes.Nom.Nom. "...it was really hard to save room for that mac and cheese this roadhouse macaroni and cheese that theyre famous for definitely lived up to the hype..."